You shouldn’t take pleasure in GSS at the expense of hurting your back and legs. Who knows, a stay in town may bring you more convenience than you think. The Great Singapore Sale (GSS) is back for the 20th time from May 30 to July 27, 2014! If you have no plans during this period and happen to be in Asia, why not make a stopover at Singapore to sweep up some sweet deals? When it comes to shopping, location is everything - and this applies to the locals as well. Whether you are a tourist out to shop till you drop or a Singaporean aiming to shop at greater efficiency during these eight weeks, a good hotel at a good price is of utmost importance. 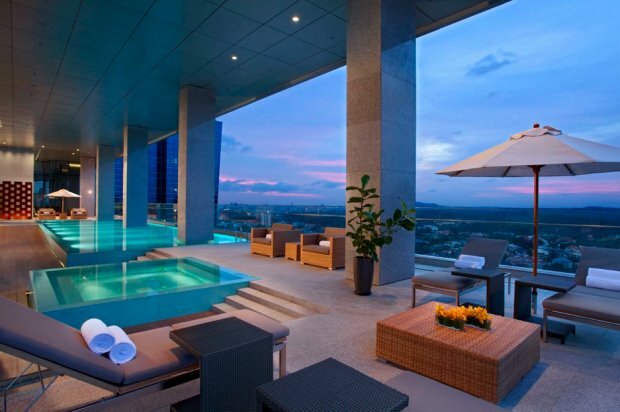 Here are some of the best hotel deals that boast of excellent locations to execute your shopping kills. Alternatively, a staycation sounds good too. Shop, eat and party to the wee hours of the night with ease! The Millenium Hotel is conveniently situated within walking distance to Singapore’s most vibrant nightlife. It offers inviting promotions such as free upgrade to the next room type and late check-out. Plus, you can pick and choose bonus perks of your choice! Promotion period is from 30 May to 26 July 2014. Enjoy the most of your shopping spree by staying in a Concorde hotel, just minutes away from Suntec City, Marina South, The Esplanade, Chinatown and other major tourist attractions. For just SGD 288, upgrade your shopping spree to include mouthwatering Singapore food at a discount of up to 20% in various F&B outlets. Stay at Traders Hotel over the weekend at another 20% off best available rate during the GSS. Apart from its prime location near Orchard Road, Traders Hotel boasts itself for the award-winning restaurants that offer a diverse range of Chinese, Malay and Indian cuisines. Promotion period from 1 May to 31 August 2014. One of the best things about Far East Hospitality is the wide selection of hotels. Our personal favourites? Of course the ones in Orchard! Check out The Quincy Hotel, Oasia Hotel Singapore, Orchard Parade Hotel and The Elizabeth Hotel if you’re planning to go on a shopping spree during GSS. They are currently offering an extra 5% off popular rate plans and a chance to win 100% cashback on stays. Promotion period from 22 May to 31 July 2014. 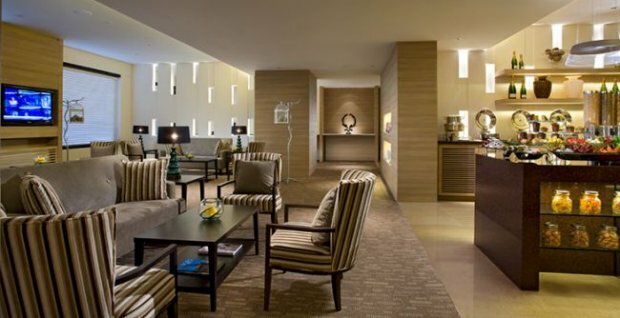 Grand Hyatt is another hotel that prides itself on its wide range of fine dining restaurants. Whether you’re craving for Western cuisine or feeling the aching desire for Asian cuisine, Grand Hyatt promises to take you for an adventurous food ride. You’ll also get to enjoy 10% off the Hyatt Daily Rate plus a SGD 50 T Galleria shopping voucher by DFS during this promotion period. Promotion period from 1 June to 25 July 2014. If you’re looking for world class post-shopping treatment while being right in the heart of the shopping district, here’s good news for you. Goodwood Park Hotel is extending Deluxe room stays at just SGD 335 accompanied with welcome hotel gift and a complimentary SGD 20 gift voucher from Georgina’s Salon. Serenity amidst shopping haven, what else can a shopaholic ask for? Promotion period from 30 May to 29 July 2014. Don’t fancy any of the above? Check out more hotel deals here to get the most out of GSS 2014.